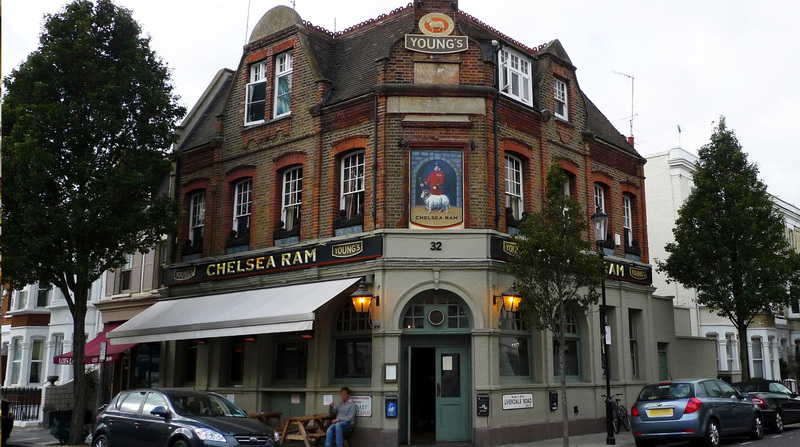 The Chelsea Ram is a Gastro Pub in Chelsea, London serving great British Food and Ales, with the availability of Private Hire. This is where it all began: Jo and Rupert opened their very first pub here and from it grew the Geronimo ethos, so you won’t be surprised to find a genuine British pub with delicious fresh food, a cracking range of ales and beers, fine wines and more as well as a warm and welcoming atmosphere. 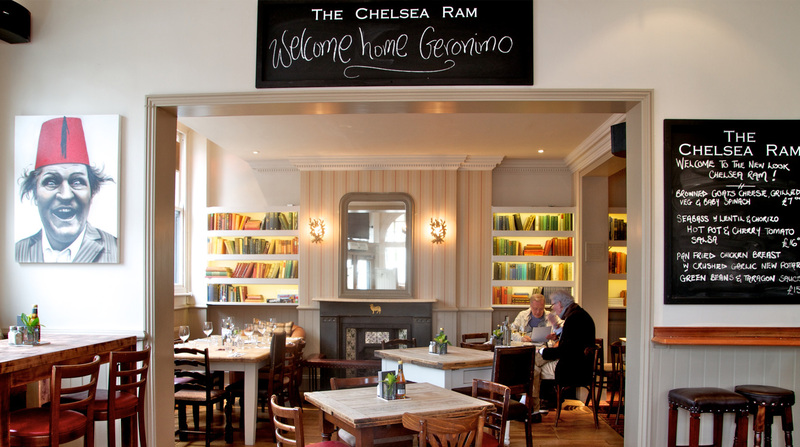 Geronimo Inns was conceived in the Chelsea Ram. 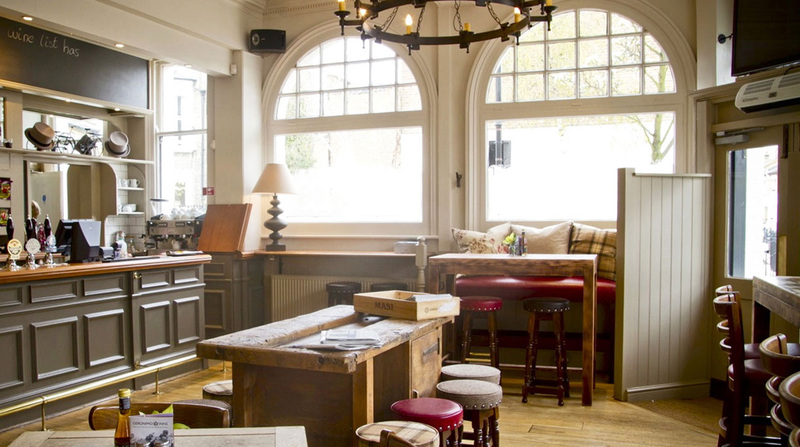 A youthful Rupert and Jo opened her doors in 1995 as their very first pub, on their way to breaking new ground in the London Pub scene over the next seventeen years. They are back there now, with their new partners in crime at Young’s after a fourteen year break, with the same mix of fresh food, fine wine and delightful beers which helps one prop up the bar and banter, which put the Ram on the map all those years ago. She is still firmly established as a well kept secret in Chelsea. Our neighbours from the Design Centre, Lots Road and the lively 606 Club as well as the nearby Public or Embargo use us for a light lunch, an after work snifter, a pre Stamford Bridge lunch and pint, or a warm up for a night out. It’s a local’s pub which matches the variety and spice of life in this small but perfectly formed Chelsea neighbourhood.